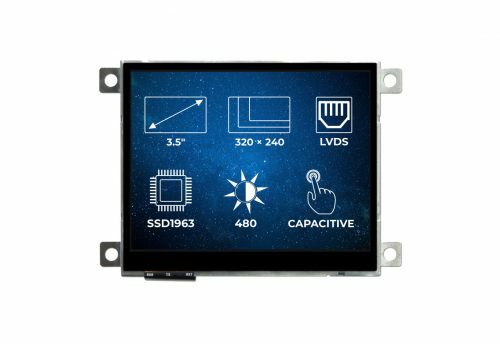 A Riverdi 3.5″ TFT display with a capacitive touchscreen and a built-in LED inverter. The 320×240 resolution provides crisp and clear colors, while the screen is driven by the powerful SSD1963 graphics controller. The display features a CPU interface. 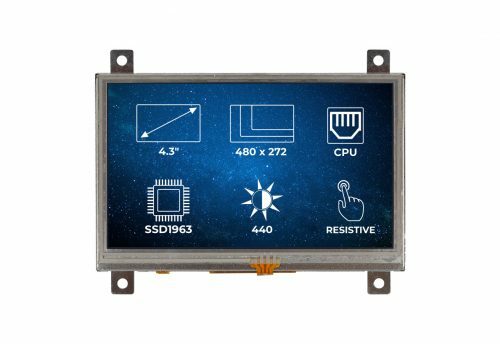 A Riverdi 3.5" TFT display with a metal mounting frame that allows easy integration. The 320x240 resolution provides crisp and clear colors, while the screen is driven by the powerful SSD1963 graphics controller. The display features the standard CPU interface. A Riverdi 3.5" TFT display with a resistive touchscreen, and a metal mounting frame that allows easy integration. The 320x240 resolution provides crisp and clear colors, while the screen is driven by the powerful SSD1963 graphics controller. The display features the standard CPU interface. 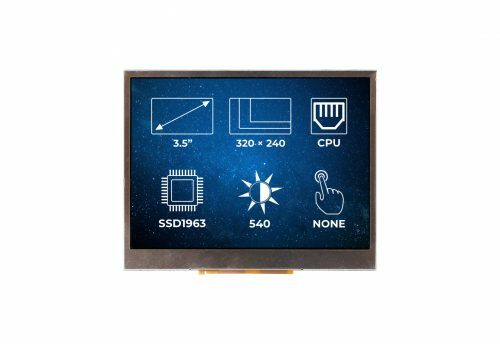 A Riverdi 3.5" TFT display with a projected capacitive touchscreen. 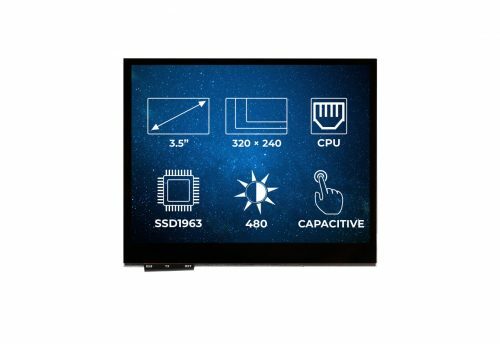 The 320x240 resolution provides crisp and clear colors, while the screen is driven by the powerful SSD1963 graphics controller. The display features the standard CPU interface. 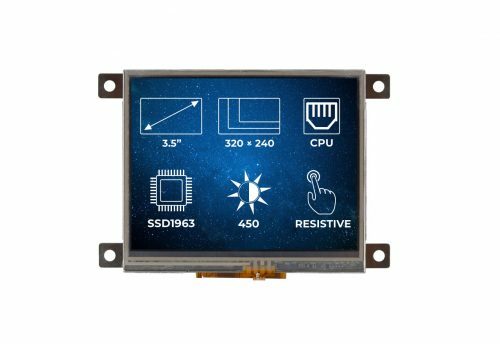 A Riverdi 3.5" TFT display with an anti-glare surface treatment. The 320x240 resolution provides crisp and clear colors, while the screen is driven by the powerful SSD1963 graphics controller. The display features the standard CPU interface. 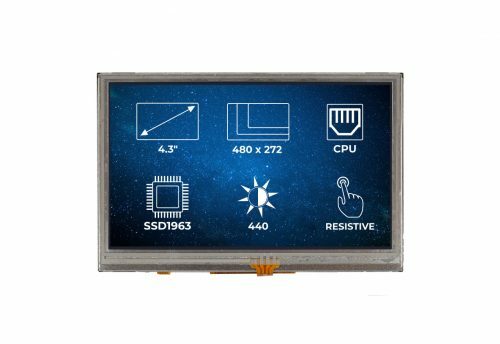 A Riverdi 3.5" TFT display with a resistive touchscreen. The 320x240 resolution provides crisp and clear colors, while the screen is driven by the powerful SSD1963 graphics controller. The display features the standard CPU interface. 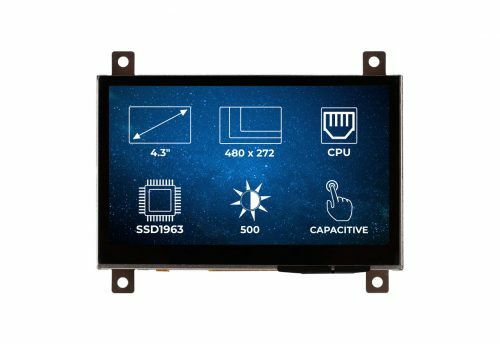 A Riverdi 4.3" TFT display with a projected capacitive touchscreen, and a metal mounting frame that allows easy integration. The 480×272 resolution provides crisp and clear colors, while the screen is driven by the powerful SSD1963 graphics controller. The display features the standard CPU interface. 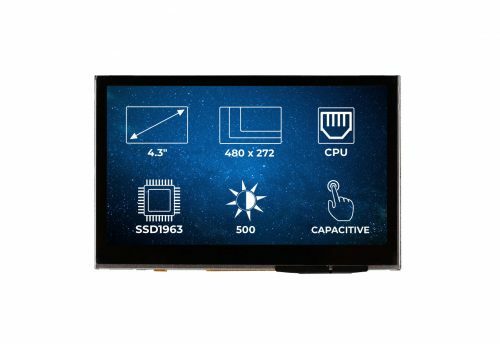 A Riverdi 4.3" TFT display with a metal mounting frame that allows easy integration. The 480×272 resolution provides crisp and clear colors, while the screen is driven by the powerful SSD1963 graphics controller. The display features the standard CPU interface. A Riverdi 4.3" TFT display with a resistive touchscreen and a metal mounting frame that allows easy integration. The 480×272 resolution provides crisp and clear colors, while the screen is driven by the powerful SSD1963 graphics controller. The display features the standard CPU interface. 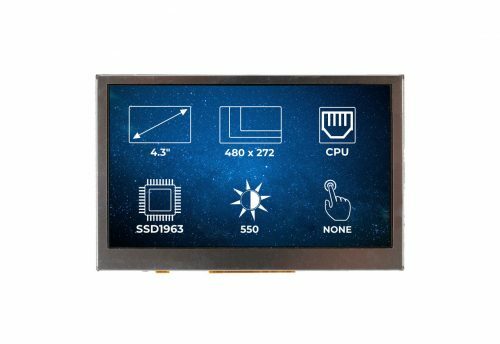 A Riverdi 4.3" TFT display with a projected capacitive touchscreen. The 480×272 resolution provides crisp and clear colors, while the screen is driven by the powerful SSD1963 graphics controller. The display features the standard CPU interface. 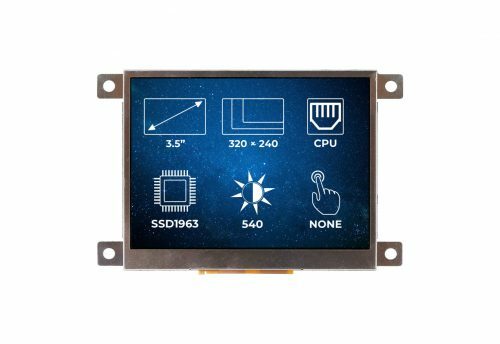 A Riverdi 4.3" TFT display with with an anti-glare surface treatment. The 480×272 resolution provides crisp and clear colors, while the screen is driven by the powerful SSD1963 graphics controller. The display features the standard CPU interface. 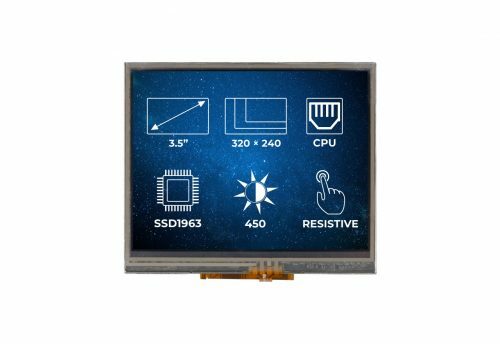 A Riverdi 4.3" TFT display with a resistive touchscreen. The 480×272 resolution provides crisp and clear colors, while the screen is driven by the powerful SSD1963 graphics controller. The display features the standard CPU interface.